Every parent would love a little help around the house. At the same time, it’s never easy to help a child learn to complete household chores. Because of this catch-22, many parents feel unsure about how to include their children in the upkeep of the home. It is essential to teach your children the skills of home maintenance, even though it is a lot of work in the beginning. 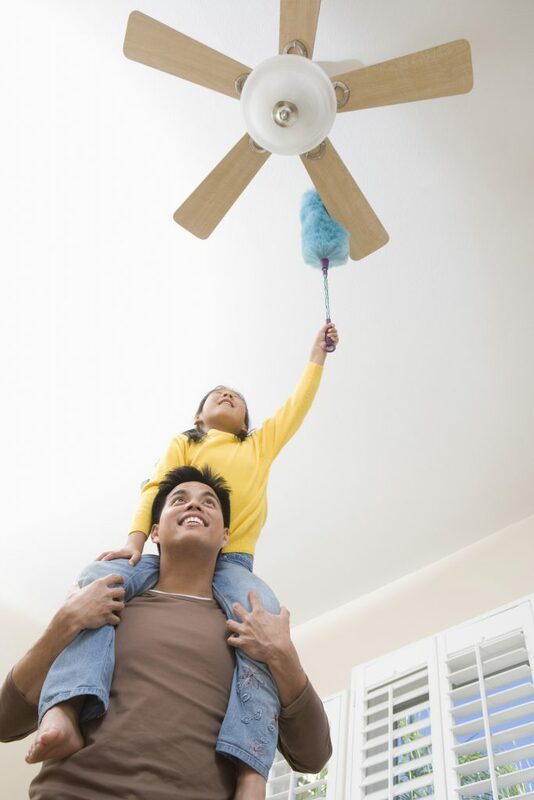 Here are some things to consider as you look for ways to include your children in household chores. This may go without saying, but be sure to select jobs for your child that they are capable of learning. While an eight-year-old can do a lot around the house, your three-year-old will need very different tasks. Also, remember how much training you received at your job? If you have a good workplace, you probably worked closely with a colleague for quite some time before you were able to work on your own. Your child will need similar assistance with household chores. Be sure you take the time to walk them through the job on several occasions before you expect them to be able to do it alone. It can be tempting to give your child a “job” of no real use, just to get them out of your hair. Try to avoid this approach, however. Children are more insightful than we often give them credit for, and they will know if they are not truly helping. Even toddlers can do jobs that will help the family. For instance, throwing away trash, wiping walls and baseboards, folding washcloths, and putting away shoes are all great jobs for little people. They are also all jobs that contribute to family life and the cleanliness of your home. If you really want to teach your child skills for household maintenance, it is necessary to choose your timing wisely. It is probably a poor decision to ask your child to learn a new or challenging task right after school or right before bed. Your child needs lots of emotional and physical energy to take on a difficult challenge, and you need the same things to teach one. Choose a moment that is calm, rested, and unhurried. Once your child is more comfortable with their new job, you can work it into your daily routine. One of the most difficult and frustrating things about learning a new job is when expectations are unclear. With this in mind, be sure you communicate with your child about how and when you want a job done. Explain what you hope the end outcome to be and what to do if they hit any snags along the way. Be open to your child struggling to complete the job and offer help if they need it. If your child feels supported, he is far more likely to try again willingly even if he finds the task difficult. Just as you love to hear that your family appreciates the work you do, your child will love to hear that their work matters. Find ways to complement your child’s work, specifically in the way it helps your family life. For example, “Thank you so much for folding the washcloths! It was easy to find one for your bath tonight.” Connecting the work your child does to the benefits it brings is vital for your child’s confidence and desire to help. Leading your child through completing household chores certainly takes longer than just doing the tasks yourself. Sometimes, there just isn’t time to bring your child alongside you to learn. However, if you make teaching your child these skills a priority, they will not only contribute to the family now, but they will also be equipped to care for their own family and home in the future. If you are looking for a childcare facility that emphasizes responsibility and learning life skills, consider Legacy Academy Snellville. We help every student reach their full potential.